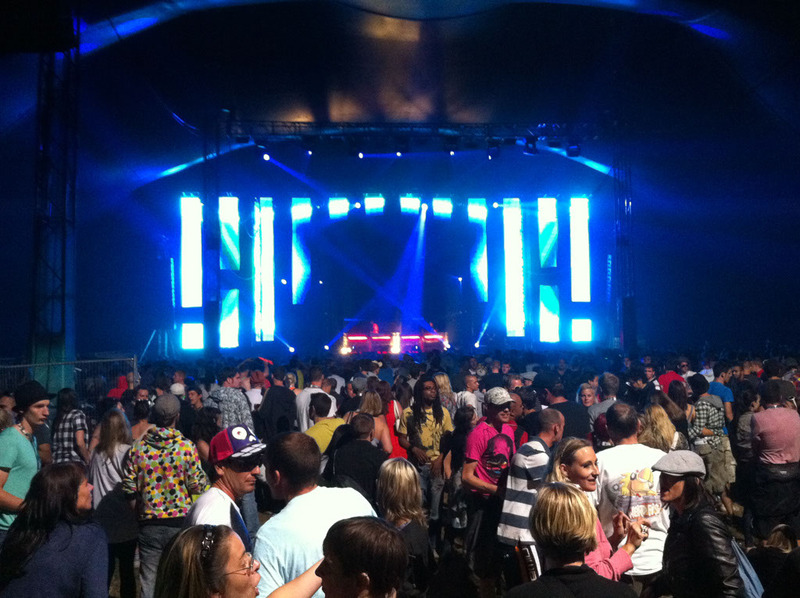 For the past few days, James has been at Global Gathering in Stratford-upon-Avon working for XL Video who are providing video kit and support across the site. 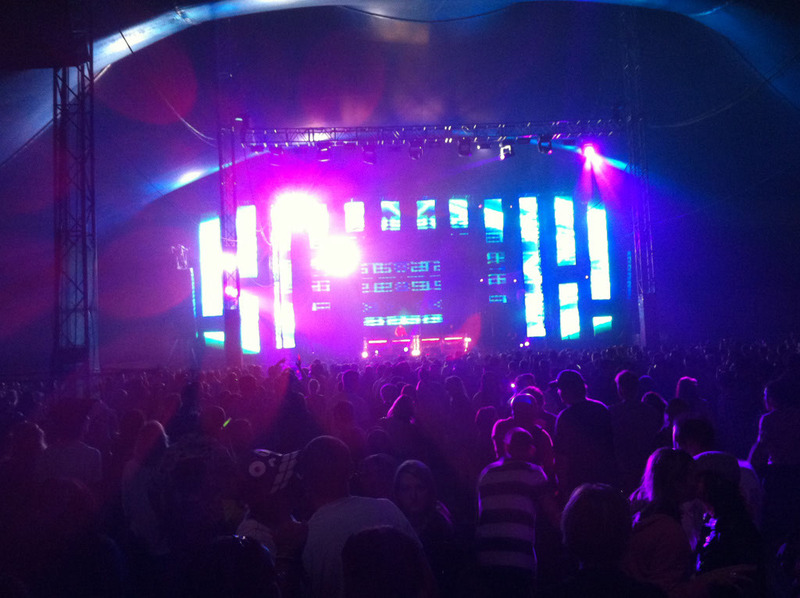 XL provided a variety of screens and projection across the site; F-30 for main stage, Bedrock and Random arenas, Martin LC for Global Arena and 4x Barco R22+ projectors for the Godskitchen tent. 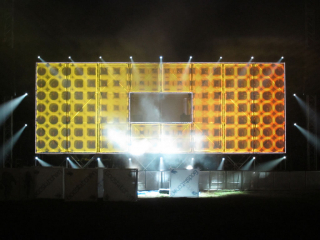 James was tasked to rig and maintain the Martin LC 2140 panels in the Global Arena, which anyone who has worked with this screen before would know is no simple task. Being the older version meant that the whole rig had to be driven with DVI which meant short cables and lots of distribution. Thanks to the keen support of the local crew, the task was made much easier. The panels were positioned on a ‘virtual screen’ to give an abstract spaced image across the stage, lighting poles were placed between the panels to provide an effective mix of video and lighting. Also within James’ remit was the Godskitchen Arena which was to use the ‘Boombox’ design that the promoters are currently touring. 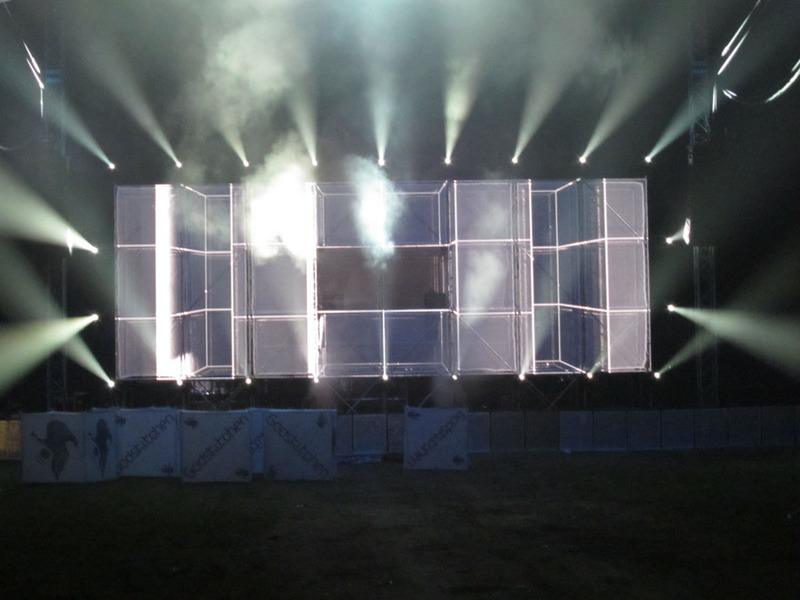 This involved using 4x Barco R22+ projectors onto a scaffold box with white gauze across each divide, leaving a gap for the DJ in the middle. 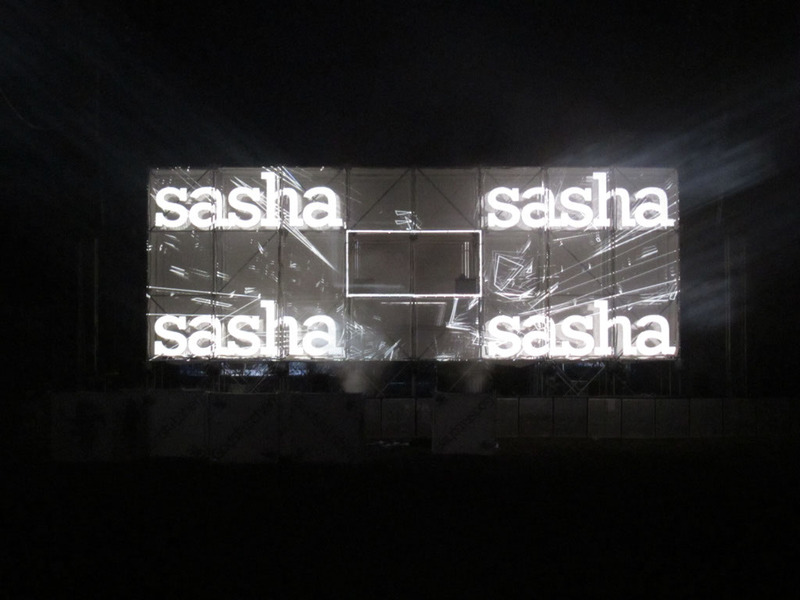 The graphics were provided by Exyzt, who first showed this principle as Etienne De Crecy’s touring rig of 2 years ago. 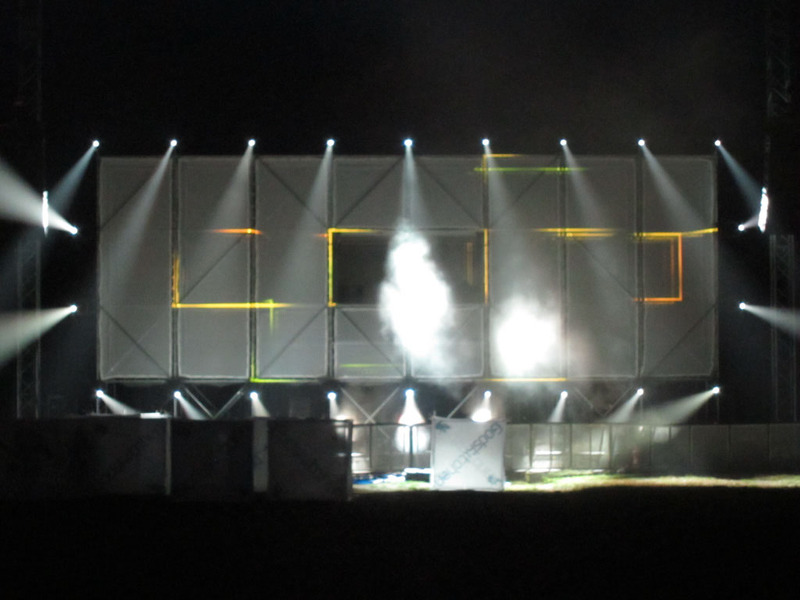 Their software was custom written for the task by the François Wunschel who used custom visuals and live video fed over microwave link by Pier Schneider. Their show was something to behold, with live video sampling using a PlayStation controller to create incredibly well timed video loops to match the music, all matched with their infamous geometric patterns which create a real optical illusion.